Cologne, Germany – More than 800 exponents (14% more compared to last year’s event) will present the latest news on the video games industry. Gerarld Beze, president of the Cologne Fair, stated that he is a bit more than just satisfied. In fact, he mentioned that Gamescom’s interactive entertainment event is a story that talks only about success; especially since the event was transferred permanently to Cologne. And the claim made above can be verified by all numbers: area, exponents, number of visitors, etc. Since 2009, the number of exponents has risen up to 53%, while the numbers of visitors as well as range of the area the percentages came up to 82% and 61%. The bad news have to with the non-specialist visitors. All tickets have been sold out for weeks now. Last year 335.000 people went to attend the event. In the entire world, the interactive games (or video games better, for the wider public) have become a successful industry; in fact as it seems, a very profitable one. This year only, specialists are expecting an 11% increase. Maximilian Senk, the president of the Association of Interactive Developer, stated that no other field in the world of media rises as dynamically as the video games field, in Germany. So at this year’s Gamescom event, there will still be a ton of games to see in Germany. For the first time in a long while, Sony isn’t doing a press conference – this is because Gamescom is only 6 weeks after E3 this year, which has caused organisational problems for some exhibitors. 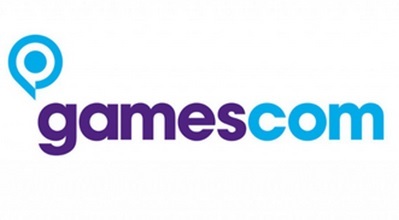 Microsoft’s Gamescom press conference kicks off at 15:00 British time on Tuesday. Expect updates on the exclusive games that were absent from E3, plus a lot about Windows 10. So stay tuned to find out all the latest news!